After the provinces were informed in February 2013 of the CCMTA's recommendations and guidelines on the use of 15-passenger vans for student and small group transport, we wrote to every provincial transport minister and asked them point blank what they intended to do about the recommendations, how and when they were going to be implemented. On April 22, 2013, the following letter was sent to every Transport Minister of every province and territory in Canada. To date, July 4, 2013, we have received responses from New Brunswick, Nova Scotia, Quebec, Prince Edward Island, Albert and, Manitoba. We are Isabelle Hains of Bathurst, New Brunswick and Stella Gurr of Nanaimo, British Columbia and we have been actively advocating for the safe transportation of students and small groups since the untimely, preventable deaths of our beautiful sons, Daniel (age 17) and Michael (age 26) in two separate incidents in 2008. We are writing in follow-up to the Canadian Council of Motor Transport Administrators' (CCMTA) Evaluation of 15-Passenger Vans report, a FAQ sheet and a brochure entitled, Safety Guidelines for the Use of 15-Passenger Vans which were all released in February 2013 via their website. As stakeholders in the process to achieve a 'national approach' to the issues of 15-passenger van safety, our Van Angels group now wants to know if, when and how the Provincial and Territorial jurisdictions intend to inform the Canadian public, raise awareness and implement an action plan. We refer you to page 63 of the Evaluation which states that: "These guidelines and regulations for 15-passenger vans should be developed at a national level and posted on Transport Canada's, school boards and provincial/territorial government websites. In addition the guidelines for 15-passenger vans could be mailed to each registered owner by jurisdiction, to ensure owners are educated on the safety guidelines”. And also refer to page two of the FAQ sheet where this statement is repeated: “…an important component to the safe use of this vehicle is ensuring that owners and operators of the vehicles are aware of the safety features and of safety guidelines that can enhance its safety. As a result, Canada’s approach regarding 15-passenger vans is to communicate the Safety Guidelines for the use of 15-passenger vans to all current and potential owners and operators of these vehicles”. We know that each Province and Territory has the power to initiate an information program that will include personally contacting all 15-passenger van owners as well as the Canadian public, establish new stricter policies and properly monitor and enforce current regulations. On January 12, 2008 Daniel Hains and six high school basketball teammates plus a coach's wife were killed in a horrific collision near Bathurst, NB. The students were being transported in a 1997 Ford E-350 Econoline 15-passenger van without ESC that drifted and dropped off the right shoulder of the highway. The driver lost directional control and collided with a tractor-trailer. The van was purchased and incorrectly licenced in NB with an M plate (Miscellaneous) instead of an L plate (Light-duty truck), which is required when it is being used as a commercial vehicle to transport more than 10 passengers. The Coroner’s inquest in 2009 brought to light the serious problems that can arise with incorrectly registering 15-passenger vans. Then and now the public do not seem to understand that this type of passenger vehicle is not just an ‘oversized van’. Eight months later a young man from BC, Michael Gurr, was killed in a single vehicle 1994 Ford E-350 Econoline 15-passenger van rollover outside of Brandon, Manitoba. The group of BC musicians were on a cross-Canada tour when the van drifted, entered the median ditch, the driver lost control and the van rolled several times. This van was bought and registered in BC for personal use, which only required a class 5 drivers licence. CCMTA’s brochure cautions that 15-passenger vans handle differently than other passenger vehicles and drivers are instructed to avoid abrupt maneuvers and therefore these characteristics do not change whether you have a class 4 or class 5 licence. This aging 1994 van, even though it was properly maintained with new tires, did not have a pretentioners in the front passenger seat belt, frontal airbag nor ESC. “Results from this study indicate that installation of ESC on 15-passenger vans may have important safety benefits in some, but not necessarily all, driving manoeuvres.” Eight years later, TC’s 2011 Internal Research Report 15-Passenger Van Safety Review Phase II - Dynamic Manoeuvres (page 27) reported a similar conclusion “The testing showed that ESC significantly improves the stability of this class of vehicles (buses with a GVWR over 4000 kg)”. However, it does not negate the van’s high centre of gravity, poor handling characteristics and unknown outside factors such as an obstacle on the road, a blown tire, adverse weather conditions and unpredictable human reaction. It should also be noted that ESC has nothing to do with occupant protection when a collision or rollover actually occurs. As safety advocates for student and small group transportation we are very upset to finally be informed from the CCMTA’s Evaluation report on page 64 (Appendix A) that the actual number of non- ESC 15-passenger vans registered in Canada as of July 1, 2008 was approximately 21,989. We cannot believe that these statistics show that almost 80% of 15-passenger vans on our roads today do not have ESC. We are also aware that many safety features that are now standard and/or mandatory in 2013 would not have been available on the aging 15-passenger van total 27,674 (1981-2008) that was quoted in the CCMTA evaluation. This would include seatbelt pretentioners, front airbags, three-point seat and shoulder belt for back seats, tire pressure monitoring systems and side curtain airbags and ESC. Our Van Angels group is disappointed that nothing has been done to date to address this aging fleet and have left it up to the natural life span of the vans to determine the decrease in numbers. 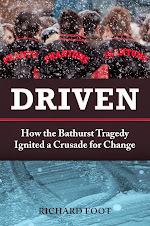 After the Bathurst tragedy in 2008 it was determined that policies and guidelines were in place but not followed. We are concerned that the CCMTA’s non-binding recommendations and guidelines lack substance for effective, meaningful change. The unpredictability of human behaviour in emergency situations and the vans problematic design are a lethal combination on our roads. A traffic incident in Ontario was recently reported when a Toronto teacher was clocked at 146 km/h transporting 12 basketball players on Highway 401 between Toronto and Windsor. He had an invalid driver’s licence for operating a 12 to 15-passenger van. 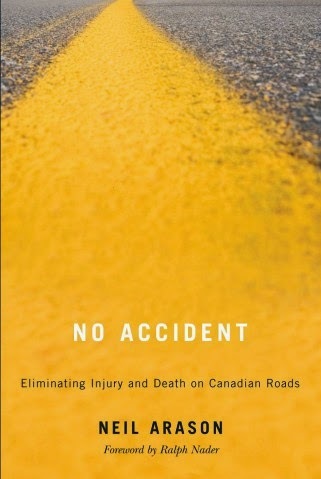 Only one year earlier in Hampstead Ontario, 11 men were killed in a 15- passenger van collision and it was determined that the driver of the van did not have the proper licence. A Toronto teacher was caught driving a van full of kids 146 km/h on one of Canada's busiest highways. Chatham-Kent OPP said Father Henry Carr basketball coach Paul Melnik was taking 12 players to the provincial basketball championship in Windsor, Ont., when they caught him speeding down Highway 401.The incident happened Sunday morning in Chatham-Kent, just east of Windsor. The 12 students in the back of the Chevrolet passenger van was the most alarming issue, according to OPP Const. Aaron McPhail. Transport Canada cannot restrict a school or school board's vehicle use. However, some school boards do not allow the use of large passenger vans for school functions. John W. Yan, the senior coordinator of communications Toronto Catholic District School Board, told CBC News the van was rented and not owned by the school or board. He also said the school board has "no specific policy" regulating the size of passenger vans used by schools. "The safety and wellbeing of our students is always our top priority. We are conducting our own investigation and will deal with this issue appropriately. This includes reviewing our policies and protocols with respect to the transportation of students to and from tournaments," Yan wrote in an email to CBC News. Yan said Melnik has been instructed to not drive students to any further games. Officials at Father Henry Carr Secondary School were not immediately available for comment. The Greater Essex District School Board, which governs public schools in Windsor and Essex County, stopped using large passenger vans years ago, spokesperson Scott Scantlebury said. "There was never an incident but it was in reaction to investigations and inquests into other crashes around the country," Scantlebury said. Five years ago, seven members of the Bathurst High School basketball team in New Brunswick died when the 15-passenger van they were in collided with a transport truck. That crash led to a call for an outright ban on the use of 15-passenger vans in schools across Canada. New Brunswick banned the school use of 15-passenger vans after that crash. TC considers yellow school buses as one of the safest methods of travel for children and youth as stated in 2007 report, (School Bus Collisions 1995-2004-TP 2436 RS 2007-02 E). We question why 15-passenger vans are still being used in schools in some jurisdictions when there is an alternative vehicle available called a Multifunction School Activity Bus (MFSAB) which is also built to the higher yellow school bus safety standards. These buses are manufactured to meet Canadian Motor Vehicle Safety Standards (CMVSS) #217 Bus Window Retention, Release and Emergency Exits, #220 Rollover Protection, #221 School Bus body Joint Strength and #222 School Bus Passenger Seating and Crash Protection and other safety features that make school buses the safest vehicles on the road. Eleven years ago in 2002, NHTSA adopted a new school bus category, called the “Multifunction School Activity Bus” (MFSAB). [DOT Docket No. NHTSA-2002-13704]. The Canadian Standard Association (CSA) D270 Multifunctional Activity Bus standard was initially proposed in 2006. In June 2008, the CSA announced a new technical standard for a type of vehicle that is not classified as a school bus D270-08 but built to similar standards as a yellow school bus D250. As you are aware, this new definition of the MFSAB is now in the regulatory proposal stage through renewed lobbying from our Van Angels group. NHTSA continues to issue regular consumer advisory warnings on 15-passenger vans use. The latest NHTSA advisory was released April 12, 2013. Currently over 40 States ban the use of 15-passenger vans for student transportation. Our continuing concern is that the message will not receive adequate public attention. We believe that these non-binding guidelines and recommendations will end up in limbo and will not be monitored or enforced, as they would be if they were a jurisdictional regulation and/ or law. The CCMTA’s guideline and recommendations put the onus of responsibility on the owners and drivers of 15-passenger vans. If the intent were to ingrain new driving behaviors, then more education, more training, more guidance and stricter enforcement would be required. You cannot change or redirect bad habits unless there is consistent and continual reinforcement. We are adamant that the use of just guidelines and recommendation will have no effect on driver behavior if it is not backed up by regulation and enforcement. The Provinces and Territories have the power to ban 15-passenger vans from our schools and to make significant life saving changes. The Van Angels group are pleased that the provinces of Nova Scotia, New Brunswick, Newfoundland, Prince Edward Island and Quebec have taken the initiative to ban the use of 15-passenger vans to transport students. These five provinces have made the safety of their children a priority. In conclusion we want to know if, when and how the Provinces and Territories intend to inform the Canadian public, raise awareness and implement an action plan. We are also requesting confirmation of any action that has or will be taken including website updates, public and media announcements, brochures and any other means you will be informing the public.